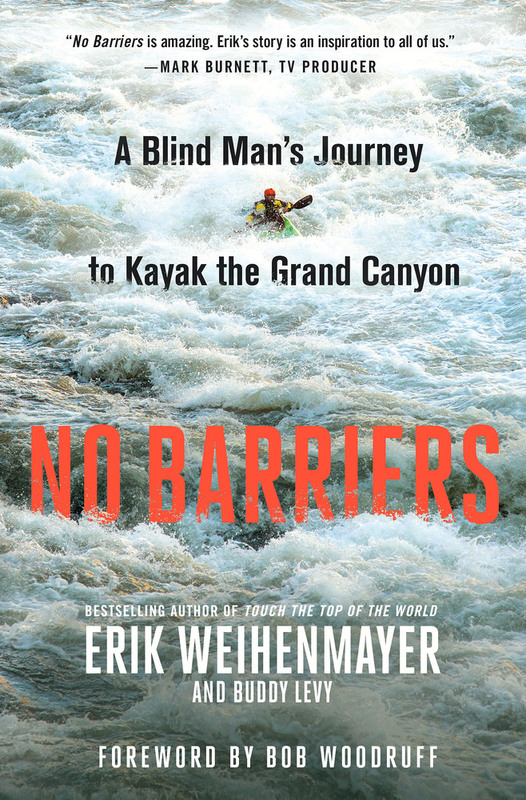 No Barriers is about Erik Weihenmayer’s journey since coming down from Mt. Everest in 2001, and the path to where he is today. It is the story of his life, the personal and professional struggles in the pursuit of growth, learning, and family, as well as a dream to kayak one of the world’s great rivers as a blind athlete. It is also about the many people he has encountered along the way who possess what he calls a “No Barriers” mindset. This book highlights these pioneers who give those around them the courage to do great things. People who have risked failure, transcended their personal barriers, and shown others a way forward: scientists, innovators, artists and musicians, climbers and adventurers, activists and soldiers. No Barriers is a ways of living, and it exists in all of us, like a deep internal light. But sometimes through trauma, loss, isolation, and disillusionment, people get shoved into a dark place, and that light is almost extinguished. Making hard choices is what feeds that light, and becomes the energy we need to propel us forward. No Barriers is about making the hard choices to fuel that flickering light, so that we can ignite with purpose and become our very best selves. 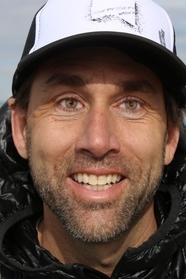 Erik Weihenmayer is a bestselling author, athlete, adventurer, and motivational speaker. He is the only blind person to reach the summit of Mount Everest. He is the author of Touch the Top of the World and The Adversity Advantage. He co-founded No Barriers USA, which helps those with special challenges to live active and purposeful lives. He lives in Colorado. Buddy Levy is a journalist, speaker, and author of numerous books, including River of Darkness and Geronimo (with Mike Leach). He teaches writing at Washington State University and lives in Idaho. Listen to an excerpt from the audiobook! This entry was posted in American Experience, Leadership, Memoir and tagged 2017, 2018, 2019, erik weihenmayer, leadership, memoir, no barriers, nonfiction on 10/19/2017 by macmillanacademic.